Daughter of Pakistan’s renowned politician Shireen Mazari, Imaan Mazari posted a video on Twitter which sparked controversies in all quarters. In the video, the girl is seen slamming the Pakistan Army in every way possible, using strong words. 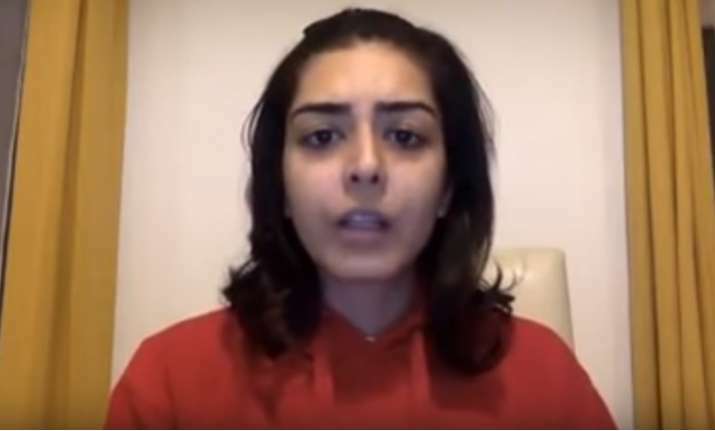 She uploaded the video on Twitter, but it mysteriously vanished from the micro-blogging website along with her Twitter account , as reported by Pakistani media. Imaan Mazari is a daughter of a Pakistan Tehreek-e-Insaf (PTI) leader Shireen Mazari uploaded a video to her Twitter account criticizing the role of their army in the Faizabad sit-in and the aftermath of a failed operation by the federal government, reported Pakistan Today. The video went viral on social media in Pakistan before it was taken down. The Faizabad sit-in involved thousands of Islamists almost blocking the major routes to Islamabad-Rawalpindi, protesting what they considered as a negligent response to so-called blasphemy. It resulted in caving in of Pakistani government to the Islamists’ demand that the law minister quits. One of the main Islamists involved in the sit-in Tehreek-i-Labaik Ya Rasool Allah chief Khadim Hussain Rizvi revealed that it was the army which ensured that the government meets the terms and conditions of the protesters. "They told us they will get all of our demands accepted," Rizvi said in a startling revelation, reported Dawn. Imaan shamed the Pakistan Army in the video and said it understood only the language used by terrorists like Khadim Hussain Rizvi. “We should also use the same language and send message to army. Such force should be condemned for funding people who have always tried to promote terrorism in Islamabad and the rest of Pakistan. I condemn the army who disrespects our martyrs (who laid their lives for fighting against terrorism)," adds Imaan. Imaan, in one of her allegations, also said that Pakistan Army funds terrorism in the country. "...The army funds terrorists for making people's lives a hell. I again condemn the army as they still don't understand that supporting terrorism is destroying this country. Pakistan community has now become effigy on the hands of terrorists. They discuss, accept terrorists demand. Is this our country, our community? This force has destroyed this country," she adds. Imaan’s mother has condemned her daughter’s remark on Pak army. "I want to make it absolutely clear that I do not share the views my daughter Imaan expressed in the video she posted on Twitter. I also strongly condemn the language she has used against the armed forces. I love my daughter but totally disagree with her views & the language used," the PTI leader tweeted.